One level living at it's best in Cobblestone Village, Cowesett! 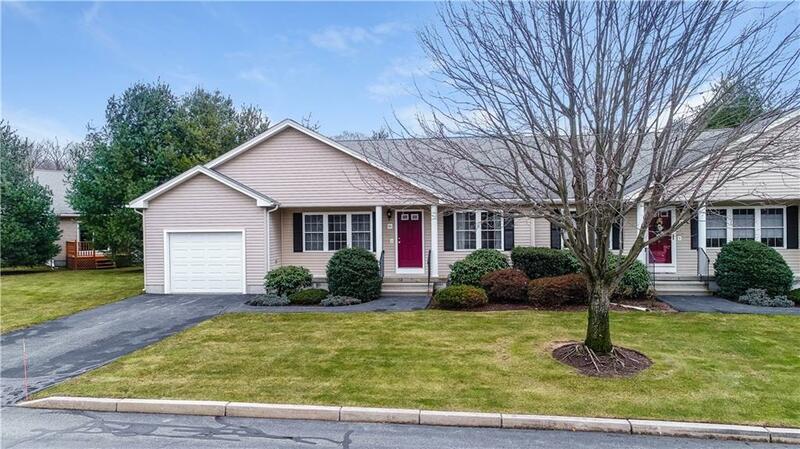 This wonderful home offers cathedral ceilings, cherry cabinets, first floor laundry and a pristine over-sized one car garage. You will never run out of storage space as it boasts walk-in closets in both bedrooms and a full unfinished basement. Master bed with bath and a second full bath. 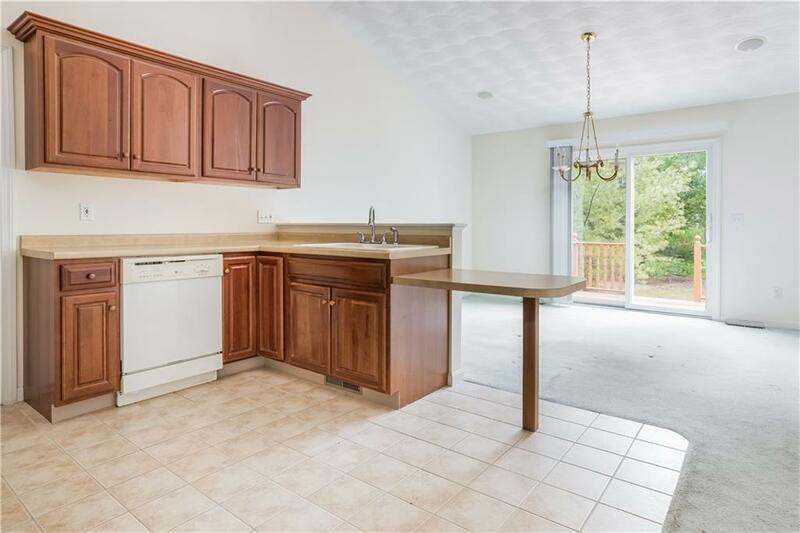 Kitchen opens to dining area with slider to private deck and secluded setting. The unit is also wired for surround sound. Cobblestone Village is a highly sought after complex and these condominium homes are rarely available! 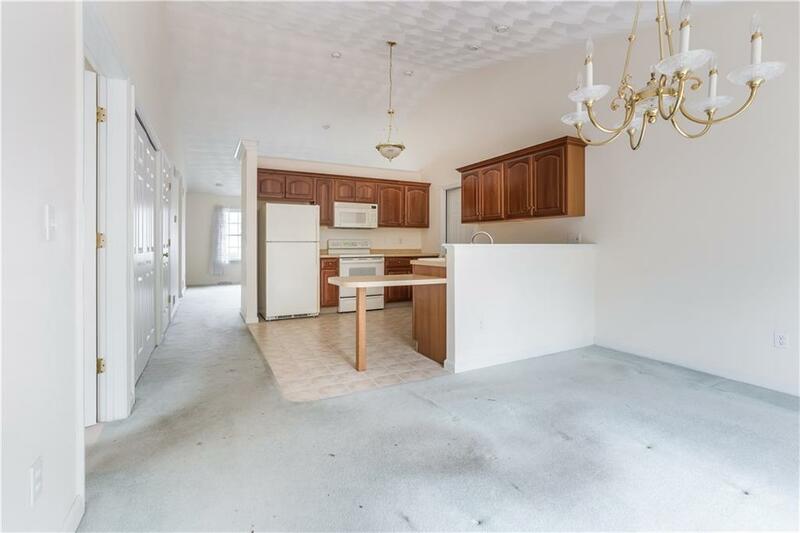 This unit needs some carpet/flooring and is being sold "as-is" at this great price!